I noticed there are several “data scientist” type positions being advertised at the moment in Stockholm. Here is a sampling based on what I was able to find easily. We are now looking to expand our technical team with a hands-on data analyst/scientist. You will be both analyzing the data and building the systems to collect, store, slice and dice the data in tight co-operation with our back- and frontend teams. You likely have a computer science or physics degree, a deep understanding of statistics – an area too frequently missed by software engineers – and an insatiable curiosity. You should also be able to clearly communicate your findings in English as well as using charts, diagrams and numbers. Experience with web analytics software, SQL databases, Hadoop and Hive, R and Python scripting will certainly help. You will build and extend full stack solutions, from Opinion mining and Sentiment analysis, with ETL and event-driven dataflows, all the way RESTstyle APIs for accessing the data, generative grammars for producing natural language summaries and visually rich HTML5 presentations. Software engineering skills, in languages such as Java, R, Python, etc. We are looking for an outstanding junior analyst to guide Spotify’s business decisions by crunching numbers, analyze the results, gain insight, identify opportunities and then aid the rest of the organization in making the correct decisions. Daily we collect vast amounts of data, which contains extremely valuable business intelligence. 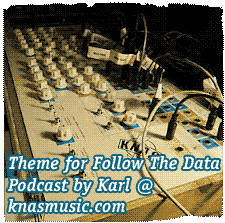 Everyday we analyze terabytes of data in order to get statistics about Spotify and our users, learn about artist trends, target advertisements better and much more. The goal is to improve and make the Spotify service better. As a Quantitative Analyst you will explore large data sets to identify underlying patterns, trends, and key risk drivers. It is your task to identify areas of improvement and take initiatives to solve these by making tests, analyse the results and implementing new features. You will also develop new models to track risk metrics connected to our dunning procedure, for new and existing markets. There are great opportunities for impacting the direction or your work and challenge yourself with exciting work tasks.